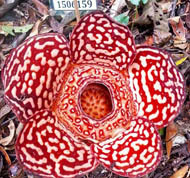 Tambunan Rafflesia Centre Tour, Day Tour In Malaysia. 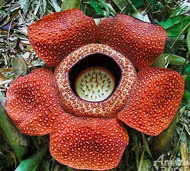 See World's Largest Flower, the Rafflesia Flower. Pick up from your hotel in Kota Kinabalu and drive into the Crocker Range. Enjoy the superb scenery along the way. Visit to the Rafflesia Information Centre. 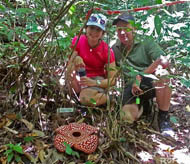 Then, proceed for a walk along the forest trail in search for Rafflesia, the biggest and very rare flower in the world. Return to Kota Kinabalu and transfer back to your hotel by 1700 hrs.